Growing up in a Christian home that served in the inner city to the poor and homeless, Chris developed a passion to see broken lives restored by the power of the Gospel. After receiving his B.A. 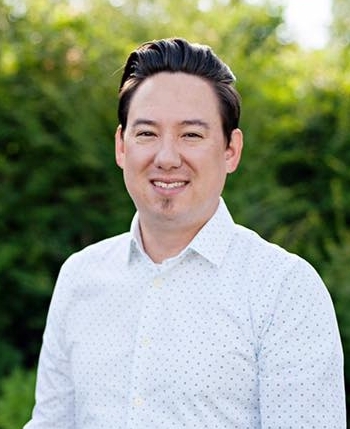 in Pastoral Christian Ministries with an emphasis in Pastor Care from Oral Roberts University, Chris began to minister on staff in churches as well as becoming developed in sales and finance through working in the banking and manufacturing fields. For the past several years, Chris has been the chaplain/program manager at the Augusta Rescue Mission. Upon the retirement of Rusty Marsh, Chris now serves as the Executive Director. Chris enjoys spending quality time with his family, teaching, writing, and counseling. Mike Barr is a passionate evangelist and teacher of the Word. He has spent several years in management in the restaurant industry and IT/Communication field while also serving as a licensed minister with the Assemblies of God denomination. As Chaplain, Mike coordinates the Mission's Residential Program, provides Christian discipleship training, and leads Celebrate Recovery group meetings. Mike is a well rounded leader who desires to see people genuinely encounter God through the preaching of the Gospel. J.D. is a living testimony of how Christ can rebuild a broken life. He came to the mission in 2011 as a man needing a second chance. He entered the Residential Program, and through patience and a lot of hard work, he successfully made it through all three phases. He spent about a year in Phase III, and served as a volunteer overnight leader. When the position for Operations Manager came available, J.D. was chosen as an addition to the A.R.M. team. J.D. enjoys reading and studying theology and is also a full time crew leader for a family owned roofing company. Amanda is an Augusta native and faithfully serves at the Augusta Rescue Mission as the administrative assistant. Her daily responsibilities include maintaining the business office, handling monetary donations, and assisting the Executive Director. She has a heart after God and for broken people. When she is not taking care of her family, Amanda spends her free time going to church, participating in small groups, and encouraging others. Amanda enjoys reading and serving in Christian ministry. Brandon has long history in the food industry as his grandfather managed several large chain restaurants and owned his own food establishment, all of which Brandon was a part while growing up. Brandon has a tremendous amount of experience in retail management and organizational leadership. As Kitchen manager, Brandon oversees all aspects of the Mission's kitchen from providing food to our guests and residents to coordinating food ordering and creating menus. Not only is Brandon a family man, he is also a minister of the Gospel and a student studying culinary arts at Helms College in Augusta, Georgia.